Of the 116 COP21 strategies reviewed by the Intergovernmental Panel on Climate Change, 101 hinge on the use of negative emission technologies, designed to drain carbon dioxide from the atmosphere. Given that these technologies are still in their infancy, does the optimism born out of the Paris climate talks rest too heavily on unproven solutions? Renowned climate scientist Tim Flannery recently wrote in the Guardian that emission reductions alone at this juncture cannot prevent us crossing the 2°C mark. Even if emissions were halted today, the greenhouse gas in our atmosphere is potent enough to drive temperatures to 1.5°C. When Forum of the Future explored geoengineering back in 2011, with the publication Under New Management, the main debate was whether this so-called last resort technology was worth developing, considering the costs and risks it entailed. We thought an agreement might make such steps redundant. But on the contrary, the Paris climate talks seem to depend on taking it forward. Geoengineering is a divisive field and an increasingly contested descriptor, denoting purposeful, large-scale interventions which aim to alter the Earth’s climate system in order to reduce the rate of global warming, or indeed reverse it. The field is divided into two broader camps of technology, which are explored in further detail here. The first set is characterised as solar radiation management (SRM), which aims to reflect a percentage of sunlight back into space. Examples of SRM include brightening man-made structures, setting up reflective marine clouds and materials in deserts, as well as mimicking volcanic eruptions by emitting aerosols into the atmosphere. Although these interventions may prove to be effective and cheap (words we like), some carry catastrophic consequences for the climate. Stratospheric sulphate aerosols, for instance, would offset warming significantly. Unfortunately their use would also destroy the ozone layer, disrupt rainfall patterns, and reduce the sunlight which feeds the planet’s vegetation. Such a strategy does nothing to reduce the carbon dioxide concentration in the atmosphere and would therefore not address ocean acidification. Rapid warming would ensue were these sulphate injections to be abruptly discontinued, triggering violent climactic change. The second category, carbon dioxide removal (CDR), encompasses techniques of CO2 extraction and storage which reduce greenhouse effects. Examples of these include carbon capture and storage (CSS), augmented ocean disposal, ocean fertilisation, biochar production, and direct air capture. These are in many ways less dystopian than stratospheric sulphur aerosols, yet risks are also rife as the unintended environmental and climate consequences of their use on a large-scale remains uncertain. Ocean fertilisation, in particular, relies on stimulating plankton growth through dispensing iron in the ocean. The unintended consequences of this, Flannery describes, are severe; “toxic algal blooms, reduction of plankton diversity and depletion of oxygen in ocean depth (if sinking plankton rots there)”. These two camps encompass some outlandish and frankly disturbing pursuits, but research into employing these methods is nonetheless underway. Alarmingly, there is no global regulatory regime for undertaking geoengineering explorations, meaning experiments will continue to move forward creatively. This gives way to individuals, groups or nations to act on their own accord. The technical and governance challenges here are immense, however others may argue that in this late hour extremes must be explored. Biological methods: hope or hogwash? 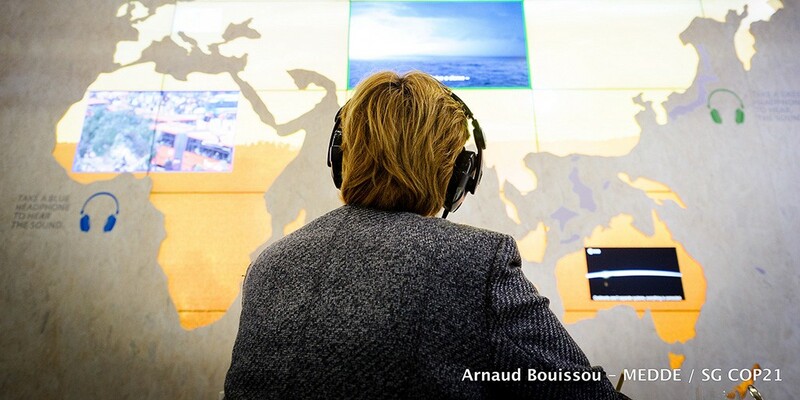 The climate talks in Paris struck a more hopeful chord in this debate, supported by the aim to implement less extreme methods of carbon reduction and cooling. Flannery explores ‘Third Way’ technologies in his latest book, Atmosphere of Hope. These are distinct from geoengineering as they do not threaten to damage the Earth’s system as other geoengineering approaches do. Biological methods in this subset harness the power of photosynthesis by reinstating and enhancing the processes which governed greenhouse gas balances before we meddled with it. Carbon can also be sequestered and stored through chemical removal processes, such as the weathering of rocks. Anderson warns that relying on these technologies is a gamble, characterising the assumptions which underscore the success of BECCS as “breathtaking”. In December last year, he lauded the COP21 agreement as “a triumph for international diplomacy”, but one which “risks being total fantasy”. Likewise, in mid-January, other top climate scientists filed a joint letter to the Independent describing the agreement as a dangerous deal due to the glaring mismatch between its rhetoric and the science it rests upon. They wrote that the agreement enclosed “deadly flaws […] beneath its veneer of success”. At the root of their concern is the non-legally binding nature of the targets set, the largely uncontested decision to employ geoengineering technologies, as well as the untested and unscaled stage at which the most promising carbon negative technologies now rest. According to the International Energy Agency’s (IEA) technology roadmap, 4000 million tonnes of carbon dioxide per year must be extracted from the atmosphere and stored by 2040 to evade disastrous climate change, followed by a further 6000 million tonnes per year by 2050. The Global Carbon Capture and Storage (CCS) Institute reported that so far 15 large-scale carbon capture projects are in operation, with 7 more underway. Combined, these will capture 40 million tonnes of CO2 a year, an impressive but inadequate figure. In order to meet the target of keeping the temperature rise below 2°C, drastic and deep cuts to carbon emissions are required in both the short and medium term. We would need to achieve zero carbon dioxide emissions by the end of the century and 40–70% by 2050 based on generous calculations. This would entail an outstanding overhaul in lifestyle, particularly for the wealthiest 10% who produce half of global carbon emissions whilst the poorest 3.5 billion account for merely a 10th of global emissions. The necessary commitments to guide these changes on the scale required have not been made, and the technologies we will rely on to make up for their absence is at this stage little more than an idea. Anderson has asked whether we are evaluating science in a transparent manner, or is it being delivered in a politically palatable package? In light of previous global governance failings, is upping the ante really a good call? Given that these developments will play a major role in mitigating climate catastrophe, they should occupy a greater presence in public debate. Originally published at thefuturescentre.org on February 14, 2016.